Many organizations are decentralizing their operations, working with strategic partners, specialized contractors, & remote freelancers around the world. As organizations continue to look for new ways to improve their innovation strategy and operations, departments are realigning and changing the way they get things done. But perhaps no department is undergoing a larger shift in duty and authority than Human Resources. Traditionally known for managing the “lives” of people in the building in an often passive role, HR has found itself in a position to grab new responsibilities, and evolve from a “maintenance” department into a critical player in the strategic operations of their organization. This hasn’t happened by accident. As competition has grown for not just market share, but quality employees and innovative ideas, companies have begun looking internally for ways to retain talent and leverage their experiences to instill a continuous improvement mentality. No group is better qualified to lead this charge than innovative human resources professionals. Too many companies have become a revolving door for workers as employment trends show shorter and shorter stays for employees. This is especially prevalent in Millenials, 60% of which see themselves working in a different job within a year. 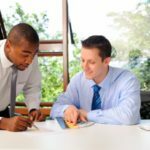 These rising turnover rates are increasing the costs of finding quality workers, on-boarding them successfully, and training them for the long-term (estimated to cost as much as 9 months’ salary), something HR has long been tasked with but will now be responsible for improving in a new, more effective manner. No longer is the “suggestion box” enough to empower employees. As retention depends heavily on ensuring employees feel like they’re a part of the team, apart from just keeping people in their jobs, HR is focused on expanding every employee’s role in strategic operations. Those that don’t feel involved or invested in their work are costing US companies upwards of $500 Billion a year in disengagement costs, motivating companies to help employees understand the “why” behind their role in a company’s goals, and how they can play a larger, more involved role. Humans have an inherent desire to “fit in” wherever they are, and work is no different. Even more important than salary and benefits, culture is ultimately the deciding “fit” factor for many employees, but 64% of them feel their company culture is lacking. It’s always been the responsibility of HR to communicate a company’s culture to potential hires, but now a larger focus is being put on both maintaining and improving it for the current workforce. A strong and consistent culture gives the workforce the opportunity to form a stronger bond with their company, and creates an environment where people can be comfortable approaching each other with ideas that they know will both help and fit the company’s direction. Like every other department, technology is changing how HR does its job, so it’s a no-brainer that they would be taking on some IT responsibilities. 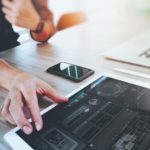 New technologies are making it easier to improve the efficiency of managing people, so a greater focus has been trending towards products to manage the ideas they have, as well as products for performance analytics, engagement levels, and processing documents to streamline and simplify the traditional role of human resources. 86% of employees cite a lack of effective communication as a cause for workplace failures. Employees can’t be productive if they can’t communicate, and the growth of products like Slack prove that it’s necessary to have channels available for both casual and targeted engagement efforts. Software extensions, break-out sessions, targeted challenges, and more are becoming common place in many organizations, and as these all concern the welfare and ability of an employee to do their job, it represents a huge opportunity for HR to lead the charge in collaboration. An organization’s specific goals, mission, and standards for doing business are too often classified as information reserved for management, and it shows as only 4 in 10 employees believe they know what their company stands for in the marketplace. This lack of sometimes basic understanding of their company hinders the development and opportunities for employees to improve their organization. As HR stands as the primary source of information for most companies, there’s no reason they can’t lead the effort to improve knowledge-sharing company-wide. Many organizations are decentralizing their operations, working with strategic partners, specialized contractors, and remote freelancers around the world. With these contacts not just under different roofs but different countries, keeping everyone informed and on the same page can get overwhelming. When it becomes too much for management, the slack is being picked up by HR to ensure the necessary infrastructure is present and that the proper procedures are being followed. 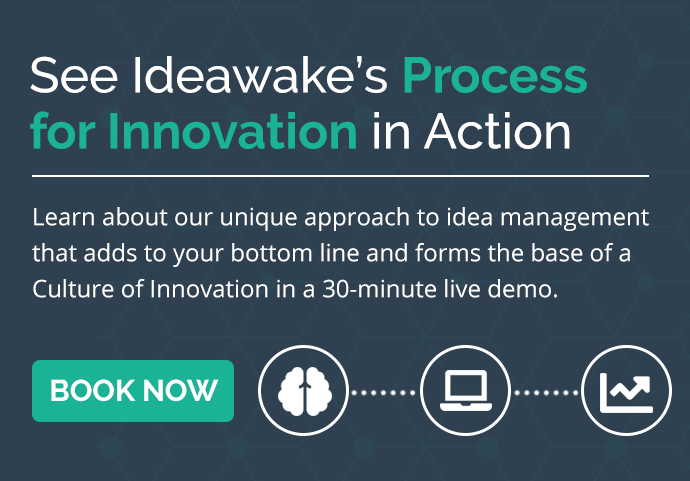 There are traditionally two sides of innovation – radical, which looks to disrupt the status-quo of a marketplace with larger, more time intensive projects like a new product, and incremental, which focuses on smaller but more frequent improvements in the organization’s operation and its products and services. While both hold their own strengths and risks, neither are possible without buy-in from employees. 94% of senior executives say that corporate culture and people are important drivers of innovation and with HR already managing human capital and working to strengthen the organization’s culture, they find themselves in a powerful position to drive innovation through improved engagement and a more connected, knowledgeable, and empowered workforce. It’s no secret that HR plays a vital role in the both the day-to-day operations and long-term survival of an organization, but too often the department brings out imagery of Toby Flenderson from “The Office”. But unbeknownst to many, gone are the days of a department that deals in strictly conflict resolution and health care forms. 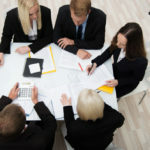 The new, innovative Human Resources department has been given a golden opportunity to not only spearhead the building of a culture conducive with a new, connected workforce, but also serve as the spark that evolves the organization from a stagnant enterprise in survival to an incubator of innovation that thrives. Is your HR department driving innovation at your operation?